Athenians nav image.pngThe Athenian city state relied on it's naval power for it's ascendancy in mainland Greece but also fielded an army second only to Sparta. A tribal system was used whereby each of the 10 tribes provided a contingent called a taxis. These would not be regimented or equal in size and there could be dissent between the tribal commanders (called taxiarchs). The maximum number of Hoplites fielded seems to have been 10,000. 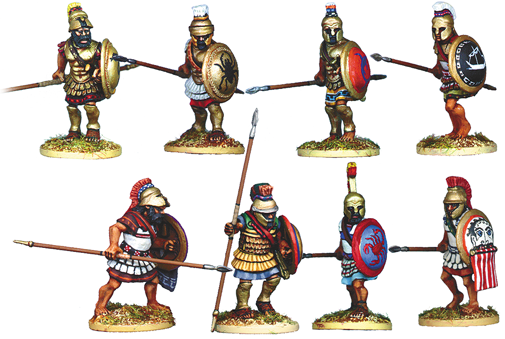 In addition skirmishers and cavalry would accompany them, but not exceed 15% of the Hoplite total.